Emancipatory movements have mighty opponents: the Powerful! The power elites, governments and state organizations have enormous rescources but nevertheless need assessments in lack of certainties many a times. The more does this apply to us, struggling for a more just and peaceful world, but lacking an „intelligence apparatus“. But usually also the most plausible assessments by us are dubbed „conspiracy theories“ by the power´s henchmen in the media. We shouldn´t mind, since we have to assemble puzzles quite often to get a clear picture of the situation. The USA are the sole Empire (in the true sense) left. The formal democratic structures hardly cover the fact that a small number of people (maybe 100 to 150) are in the end deciding about the US politics and thus about large parts of this world, rightfully called the „US Power Elite“, though there are some fierce divisions among them about strategic issues (http://tinyurl.com/bne6lnr). Whatever happens in this world that doesn´t please the US Power Elite the power apparatus flexes its muscles and international law and the souverainity of other states are trampled under foot. Even Russia at certain points is afraid of the unscrupulous giant, as Putin´s words on the occasion of Snowden´s asylum have impressingly shown: http://tinyurl.com/oqsrlaw. There´s only one country in this world which appears to have no fear at all for the giant´s reactions though financially highly dependend on him: as shown again just on the new Gaza Massacre: Israel! „Wag the Dog“ – or Blackmail Power? Many times it appears that in the relationship between the US and Israel the tail wags the dog. The speculations that the Diaspora in the US as such is creating such an abnormality will be dealt with later in this article (and somehow be dismissed). The story goes between the US Power Elite and Israel´s Power Elite, as much camouflaged it might be. Ariel Sharon reportedly shouting at Peres: „we … control America“ (http://www.veteranstoday.com/2014/01/11/burying-sharon/) has some strange foundation which shouldn´t be misunderstood. The basis for the strong influence Israel´s Power Elite takes on the US Power Elite is mainly based on blackmail power. 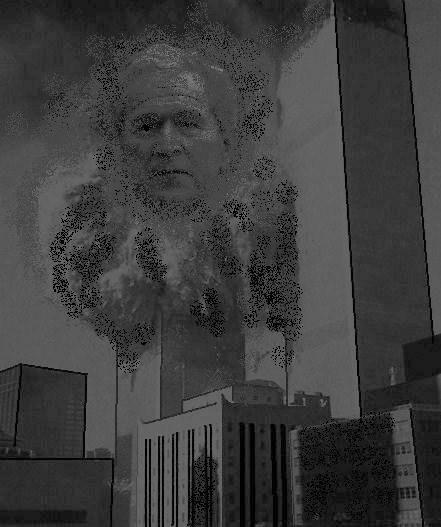 One key to understand this relationship is at the core of US politics and its „war against the world“: Nine Eleven! Everybody who´s taken the pain to go into the details of Nine Eleven can hardly believe into the official version on the event (http://tinyurl.com/nrxxej5). It can not be doubted anymore that by and large it was an „Inside Job“ involving the Neocons among the US Power Elite. An early blueprint for this might have been Operation Northwoods, a “false flag” planned by the Joint Chiefs of Staffs of the US Military to legitimate an attack on Cuba and stopped by Kennedy. False Flag Operations were for example commonplace in US lead Operation Gladio following the strategy of tension in Europe. Attributed to this structure is also the Bologna massacre. Superficial conclusions should be avoided! The Mossad (which would not have dared to perpetrate such an act) being one of the most effective secret services of the world will not employ foolish amateurs unmasking themselves by such a bloody mistake. There is a “language of symbols” between the powerful of this world. The show was meant to be recorded. It was a message to the powerful fraction of the US involved into this act of terrorism: we have everthing on the screen (including the preparations, as indicated by the unveiled foreknowledge, „explosive knowledge“, stressed by the explosives found in the white van)! That could have done the trick! Is that “All” Or Is There Another Older Key? As supportive the US were to the establishment of Israel (as was the Soviet Union) after WW II it wasn´t the US darling No 1 in the region. The most important ally was (and somehow still is) Saudi Arabia. To maintain the rule of US puppets and assets in the oil region the US had to mask as a balanced mediator. This was to be seen in the UN mediation by the American Ralph Bunche and the 1949 Armistice Agreements ending the 1948 Arab Israeli War. As much as this shifted the original frontiers between the Palestinians and Israel in favour of the later, in the Tripartite Declaration of 1950 with Britain and France those borders (also called the borders of 1967) were generally fixed by the US. The fact that US politics didn´t want to present itself totally onesided in the Middle East Conflict also manifested itself in the „Suez Crisis” 1956 when Israel, Great Britain and France attacked Egypt after the nationalization of the Suez Canal. The Cold War being already in full rage the US together with the Soviet Union forced the three countries via the UN to retreat. On the side of the US the motive was not to drive Egypt into the arms of the East and to put the „junior partners“ GB and France „to their place“. In fact those days official US assistance for Israel is said to have been limited to food aid. It was in the early sixties that sophisticated but defensive weaponry (like Hawk anti aircraft missiles) were sold to Israel, Egypt and Jordan. But Israel was reaching out to nuclear potentials. Already in the second half of the fifties the nuclear facility in Dimona was built. The French (for some time) and the British were helpful, but the US under President John Fitzgerald „Jack“ Kennedy was strongly objecting nuclear armament proliferation into the region. There were furious quarrels between Kennedy and Israel´s David Ben-Gurion as well as with his successor Levi Eshkol. It can be plausibly assumed that Kennedy´s opposition on Israel´s nuclear bid was not just a private “obsession” but representing the care the US Power Elite took to have full control in the region. But there were other critical points were there was a deep split within the Power Elite, especially between the arch rightists and Kennedy, hardly about Israel. Kennedy was assassinted on the 22nd of November 1963 in Dallas. I can not judge how serious the vain US efforts were to prevent Argentina to sell yellowcake to Israel. Likewise it isn´t totally clear how far US inspectors were ready to be fooled on Israel´s facility in Dimona, how described in the above article. By 1967 the picture of US Israel relations had totally changed. Cooperation between them went so far as to sacrifice almost three dozens US navy men´s lifes of the USS Liberty and the health of many others to an alleged false flagg attempt in favour of Israel´s desire to have Cairo bombed by the US in the “Six Day War”: https://www.youtube.com/watch?v=XjxcOKytJsk . 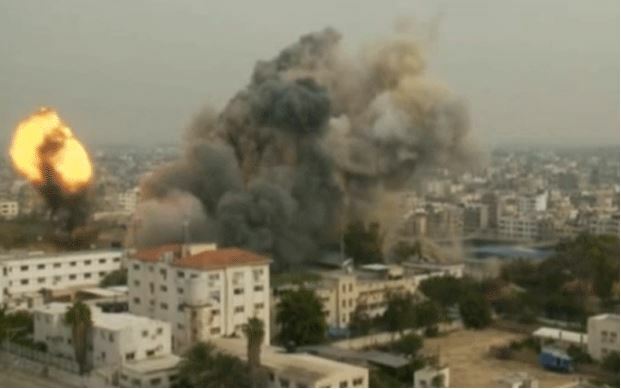 The attempt of Israel´s airforce to sink it failed and the purpose couldn´t be reached. In the years following the orchestrations of the US Empire together with Israel even got Egypt again under US “guidance” in the “Yom Kippur War” (http://www.israelshamir.net/English/Suez.htm) involving “Sadat´s secret pipeline to Kissinger”: http://www.haaretz.com/print-edition/opinion/sadat-s-secret-pipeline-to-kissinger-1.139182. Fundamental Change, A Mirracle? Or simply the “Madman Theory” at Work? The change came quite fast. No doubt, the close alliance between the US and Israel brought some big advantages for US geo politics, the “unsinkable aircraft carrier” in the Eastern Mediterranian, but also great diplomatic difficulties. There were ideological advantages for the WASP (White Anglo Saxon Protestants, traditionally anti-Jewish) Power Elite of the US (http://tinyurl.com/7gnk466) masking their own power by “Jewish influence”, but also growing despise for the US in a geopolitically highly important region. The “Madman Theory” (https://en.wikipedia.org/wiki/Madman_theory) developped by Richard Nixon and Henry Kissinger might not have fitted too much to the US selfunderstanding to be maintained and thus have been changed into the “Mad Watchdog Theory”, asigning that function to Israel. For quite some time I considered all this to be sufficient to explain the drastic change. It´s not the “Jewish influence”, Stupid! To make one thing clear, it´s something for naive people with some dump subconscienceness to think that the majority of the US Diaspora was behind the change to an unconditioned support of the US for an all out aggressive and brutal occupation policy (not that the US Power Elite would have had moral hinderances). Traditionally most of the Diaspora was left liberal. It was quite a longer process to manoever so many of the US Diaspora into a baseless panic over Israel´s survival and blind support for anything Israel´s government and military are doing and likewise to a backing of Republican and Neocon politics. Having done a lot of analysis on the US Israel relation´s development (http://tinyurl.com/7gnk466) I believe I too missed the early real clou for a long time: Kennedy´s assassination! To put things clear again: believing that that Mossad would have dared to kill Kennedy because of his opposition to Israel´s nuclear armament would at least to be called be naive taking Israel´s situation and stand in 1963 (http://ironlight.wordpress.com/2010/05/05/kennedy-dimona-and-israels-deadly-secrets/), though things today might be different (http://tinyurl.com/76myoz6). At least those days Israel´s secret service could not even have dreamt of something like that – not because of moral reasons, but because of the fact that Kennedy´s opposition was quite in the line of US geopolitics. Today there can be no doubt anymore that Kennedy was the victim of a deep split in the US Power Elite over strategic questions, his assassination being an “inside job”, but not because of Israel! The split between the “Traders” and the “Warriors” within the US Power Elite (today continued in the division between the “Soft Power Fraction” and the “Neocons”) those days was about Cuba and the risking of a big war, which Kennedy´s opponents were ready to risk (http://tinyurl.com/ndzt8ho). 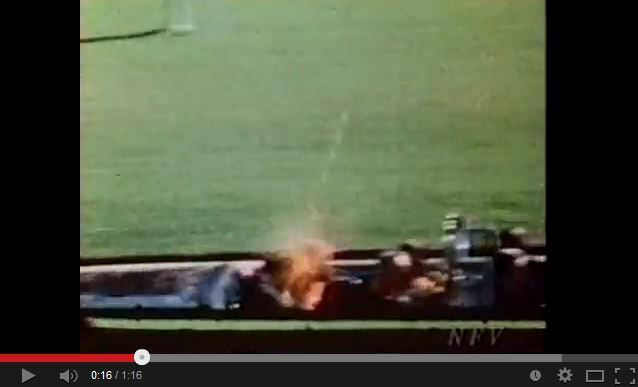 But I´d bet that the Mossad had all around Kennedy´s assassination „on the screen“ as well. „Knowledge is power“, the power to force that fraction of the US Power Elite being involved in the murder to change the line on Israel and its nuclear armament as well as in general! And Israel´s power elite seems to still capitalize on their insight into Kennedy´s assassination, as is shown by Netanyahu´s recent dropped word of the „Grassy Knoll“. It appears obvious that both historical incidents involved only a section of the US Power Elite and one might expect that the rivalries might tempt the not affected circles to reveal the stories and kick the opponents out of the game. But we shouldn´t forget: the damage for the stand of the US in the world would be great. More important, the power structure of the US society would be laid open to a great extend and the rivaling fraction has mostly strategic quarrels with the Neocons, but is united with them in the desire for world control. So the cases will not be opened by the socalled “Soft Power Fraction” (an Orwellian name since those ones are also not shy to strangulate whole countries). This has to be done by social movements in an emancipatory struggle. But in the end we have to know: the true US Power Elite isn´t happy with it´s dependency on Israel´s Power Elite. They might look for ways to get rid of it (http://tinyurl.com/7gnk466). It can not be ruled out that this could be done with a gigantic false flag operation to be blamed on Israel. This would possibly imply a WASP-Revolution including most right wing fascist circles like KKK and anti-jewish white suprematists creating a socially very explosive situation. It could be combined with an open corporate fascist coup like the attempted Business Plot in 1933. A real peaceful and just policy of the US could only be forced into existence by social struggles to make the US a real Democracy! 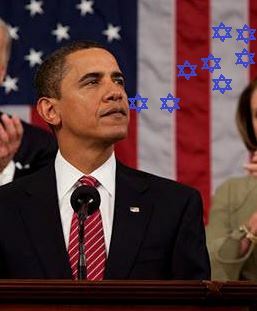 Not only after I´ve been reading this article – http://mjayrosenberg.com/2013/03/25/obama-makes-clear-he-is-an-eretz-yisrael-man/ – but since a longer time I´m asking myself whether Obama is thinking at all of a bloody parallel to the Zionist experiment to be found in History? Does he ever think of the failure of the “Back to Africa” movement and the American Colonization Society, partly inspired by white Abolitionists and partly by African Americans founded on the refusal of Mainstream Society in the US (and GB) to really accept people of African descent in their societies which led to the dreadful Liberia and Sierra Leone experience? In case of Liberia and Sierra Leone it was the neglect of locality and African diversity, in the case of Israel it was the neglect of 2000 years. But in the case of Israel the self restriction to the borders of 1967 might have done “the trick” to save the experiment, whereas the greed to “get it all” might spoil everything in course of history. I tend to the word: listen Israel, learn from the German historical experience with Hubris! I have the fear that not only Israel´s birth is the outcome of Germany´s monumental crimes, but Israel might also be the socio-psychological clone of Germany! Great Albert Einstein and Hanna Arendt together with a number of other progressive people of Jewish descent were clear enough to see that danger on the example of Menachem Begin and brave enough to express that in their famous letter to NYT (1). If you read a collection of Zionist quotations the fear is growing that there is an ideological tide swelling in Israel which bears elements characteristic for Fascism (2). Instead of warning that country and reminding it of History, Obama is declaring unconditional eternal support. It seems very obvious that Obama has no love for Israel´s Prime Minister Netanyahu who did all he could to support Romney but it appears also that Obama is stricken by the fear to become a second Kennedy (3)!